150 Challenging Experiments. Convert solar energy. 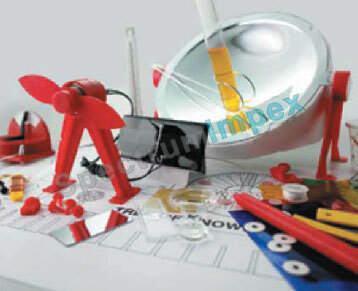 Build a solar electric generator, motor, water heater, furnace, thermometer, crane and solar energy mobiles. Unique experiments with colour optics, electroplating, stroboscopes, thermodynamics and Moire patterns.